Labs: Tuesday: 14:00-16:00 Markus Gritch (B); Mehdi Elahi (A); David Massimo (C). Thursday: 16:00-17:00 Markus Gritch (B); Mehdi Elahi (A); David Massimo (C). Objectives: The objective of the Computer Programming course is to teach the fundamental principles of programming. We will use an object-oriented approach and the student will learn how objects "speak" and "cooperate" to solve a problem. We will teach how to solve problems with good programs. Hence not only how to write programs but also how to design and implement effective solutions. The learning will be based on examples, from very simple ones to more complex. 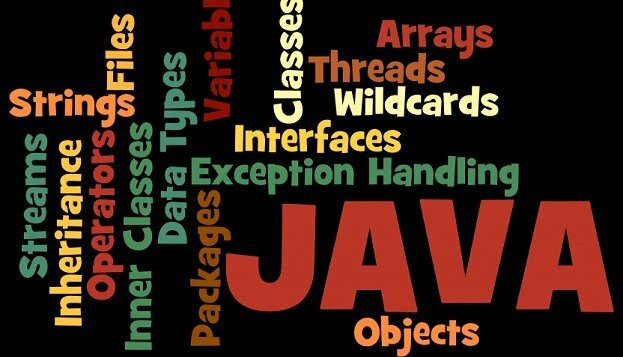 We will use the Java programming language. Project: the project consists in the design and implementation of a Java application with a graphical user interface 40% of the mark. More details in intro-course.pdf. Note that if you have not passed the project part you could not attend and pass the written exam. So, the project is a prerequisite for attending the written exam. February 7: results of the written exam CP-Exam-Feb-2019. This is not requested for the exam. JSS - John Lewis and William Loftus, Java Software Solutions, Pearson, 2012. There is also a new edition (ed. 8 - 2015), but the differences are minimal. So get what is the cheapest one. Do not get the newest version ed. 9, 2018 (in this edition graphics is using JavaFX and we will use instead Java Swing/AWT). Lab material and other documents are available in the university ole platform. Eclipse installer Download installer, run it, and then choose "Eclipse IDE for Java Developers".